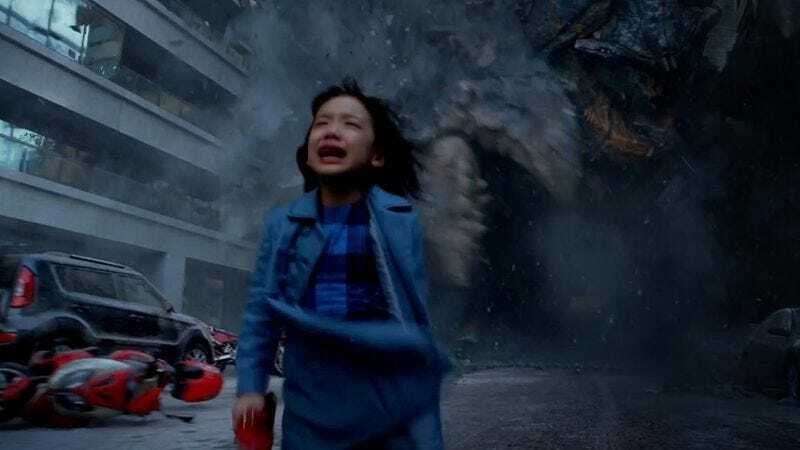 Here’s a real case of good news, bad news (or “Apocalypse canceled, Apocalypse back on again,” in the parlance of the film) for fans of Guillermo Del Toro’s energetically insane 2013 robot punch-’em-up Pacific Rim: it looks like Legendary Pictures is finally ready to move forward on the movie’s long-delayed sequel—without Del Toro in the director’s chair. Deadline is reporting that Pacific Rim 2 will instead be directed by former Daredevil showrunner and Joss Whedon alumni Steven S. DeKnight, in what’s set to be his feature film directing debut. Known as a talented writer and producer, DeKnight’s past directing experience tallies up to about about seven episodes of genre TV, including some fifth season Angel episodes and two turns on Smallville, all of which should leave him more than prepared for coaching Ron Perlman through getting swallowed by another giant monster, or getting Charlie Hunnam to show a facial expression other than dull surprise. Meanwhile, the movie won’t be using the script Del Toro turned in back in October, either; instead DeKnight will be operating from one penned by Prometheus and Doctor Strange scribe Jon Spaihts, with Del Toro and co-writer Travis Beacham simply credited for creating the characters. To be fair, Del Toro’s still listed as a producer on the project, and tweeted earlier tonight that he’s excited to see what DeKnight does with the film. (He also promised “more news soon” and expressed his happiness that the property can now “expand big.”) Even so, it’s bittersweet: we finally got our sequel to the insane Guillermo Del Toro movie in which a giant robot cuts a monster in half with a massive sword in midair, and all it took was for Del Toro to give up direct control of the project for us to get it, leaving the rest of us to, in his words, merely “dream of kaijus and mecha,” and what possibly could have been.